In this paper, we describe the development of a robust path planning algorithm for an autonomous mobile robot. In order to achieve safe navigation in areas with moving obstacles, the mobile robot has to be controlled by a dynamic path-planning algorithm to avoid collisions. However, depending on changes in obstacle positions, the dynamic path planning algorithm frequently faces path-switching problems. In order to avoid the path-switching problems in the dynamic path planning algorithm, we introduce a virtual obstacle assignment method to suppress events caused by the path-switching problems. 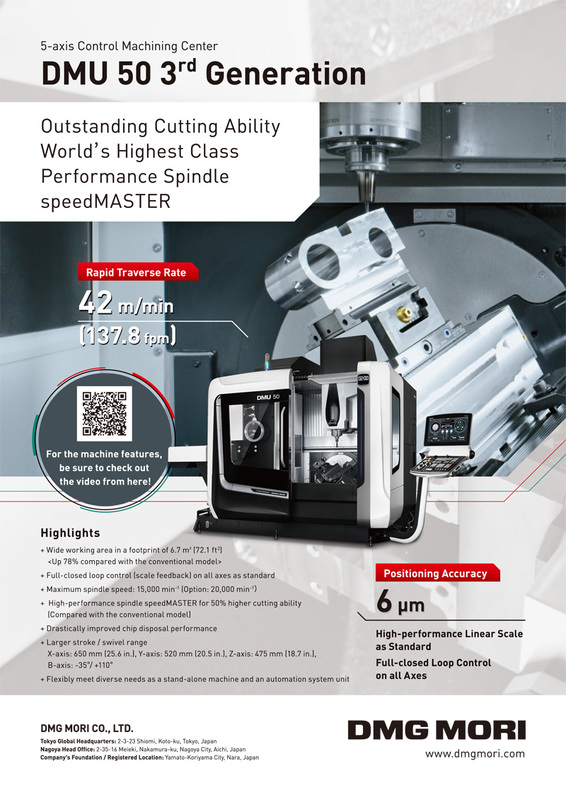 The effectiveness of proposed method is proved by an actual mobile robot. The validity of proposed method is confirmed by both simulations and actual outdoor experiments. 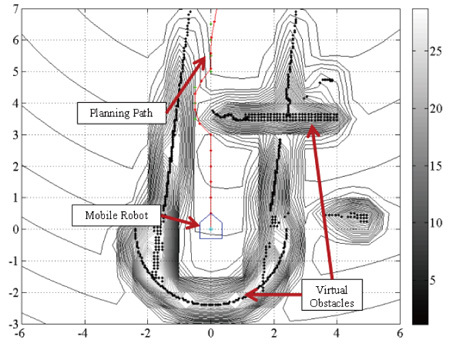 K. Ueno, T. Kinoshita, K. Kobayashi, and K. Watanabe, “Development of a Robust Path-Planning Algorithm Using Virtual Obstacles for an Autonomous Mobile Robot,” J. Robot. Mechatron., Vol.27, No.3, pp. 286-292, 2015. S. Yuta, “An open experiment of mobile robot autonomous navigation at the pedestrian streets in the city Tsukuba Challenge,” IEEE Mechatronics and Automation, pp. 904-909, 2011. P. E. Hart, N. J. Nilsson, and B. Raphael, “A formal basis for the heuristic determination of minimum cost paths,” IEEE Trans. on SSC, Vol.4, No.2, pp. 100-107, 1968. S. M. LaValle, “Planning algorithms,” Cambridge university press, 2006. D. H. Kim and S. Shin, “Local path planning using a new artificial potential function configuration and its analytical design guidelines,” Advanced Robotics, Vol.20, No.1, pp. 115-135, 2006. T. Yamakawa, “Development of path planning algorithm using potential field based on two fixed-angle laser scanners,” SICE Annual Conf., pp. 892-895, Aug. 18-21, 2010. E. Rimon and D. E. Koditschek, “Exact robot navigation using artificial potential functions,” IEEE Trans. on Robotics and Automation, Vol.8, No.5, pp. 501-518, 1992. H. Yokoi, T. Mizuno, M. Takita, and Y. Kakazu, “Obstacle Avoidance Using Vibrating Potential Method (Self-Organization in a Narrow Path),” J. of Robotics and Mechatronics, Vol.8, No.4, pp. 356-363, 1996. L. Yin and Y. Yin, “An improved potential field method for mobile robot path planning in dynamic environments,” 7th World Congress on Intelligent Control and Automation 2008 (WCICA 2008), pp. 4847-4852, 2008. M. Uchida, S. Yokoyama, and H. Ide, “Development of Autonomous Mobile Robot for Obstacle Avoidance,” J. of Robotics and Mechatronics, Vol.5, No.5, pp. 481-486, 1993. M. Uchida and H. Ide, “Path Planning by SPM Method for Autonomous Robot,” J. of Robotics and Mechatronics, Vol.6, No.1, pp. 55-57, 1994. N. Sariff and N. Buniyamin, “An Overview of Autonomous Mobile Robot Path Planning Algorithms,” 4th Student Conf. on Research and Development 2006 (SCOReD 2006), pp. 183-188, 2006. M. Kitamura, Y. Yasuoka, T. Suzuki, Y. Amano, and T. Hashizume, “Path Planning for Autonomous Vehicles Using QZSS and Satellite Visibility Map,” J. of Robotics and Mechatronics, Vol.25, No.2, pp. 400-407, 2013. J. Ilari and C. Torras, “2D Path Planning: A Configuration Space Heuristic Approach,” The Int. J. of Robotics Research, Vol.9, No.1, pp. 75-91, 1990. M. Seder and I. Petrovic, “Dynamic window based approach to mobile robot motion control in the presence of moving obstacles,” ICRA, Vol.7, pp. 1986-1991, 2007. M. Zulkifli, “Autonomous ground vehicle design,integration and control for the IGVC Competition,” IEEE Mechatronics and its Applications, Vol.1, No.6, 2012. K. Takahashi, “Development of laser range finder-implemented JAUS-compliant local pose component,” SICE Annual Conf., pp. 634-639, Aug. 20-23, 2012.